Ahead of THE royal wedding (Megs and Haz in case you've been under a rock for the last year or so), there is a lot to get excited about. The flowers, the tiara, the bridesmaids, the cake. Oh, and the dress. Let's drop the dignified front and cut to the chase. We all want to know what Meghan Markle will be wearing when she steps into St. George's, Windsor to wed her handsome prince. The bride to be will keep us guessing until the last moment, and because it's the wedding anniversary of the Duke and Duchess of Cambridge, let's visit Kate's dress one more time. 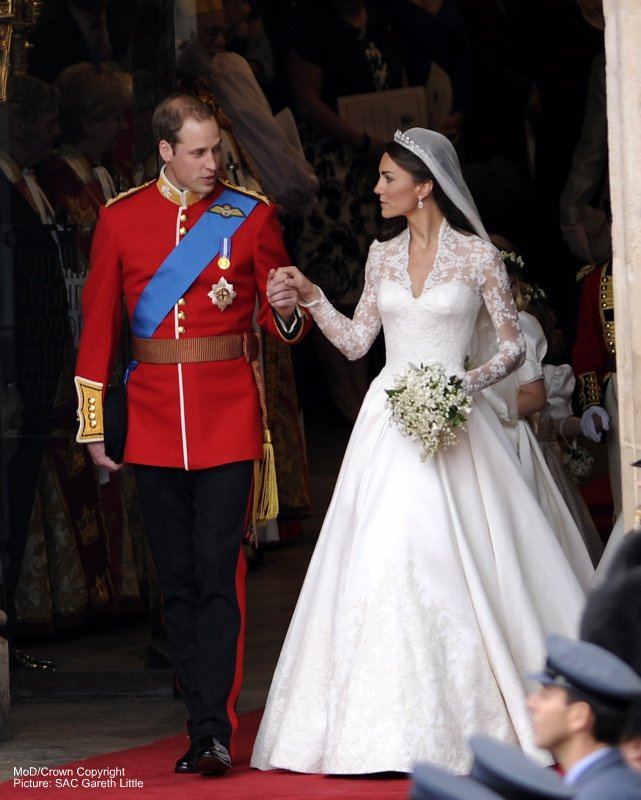 The dress that Kate Middleton wore on the day she married her prince and became HRH The Duchess of Cambridge is already a part of royal history. As we wait for Meghan to add her style choice to the history books, here's a look back at what Kate wore, a classic among the Windsor Wedding Dresses. Royal wedding dress speculation is always high and in Kate's case it reached epic proportions, partially because the designer wasn't confirmed until the bride stepped out of her car at the gates of Westminster Abbey. Those with the smart money had been focusing on Sarah Burton for Alexander McQueen and as the official press release arrived, we knew why. They were right on target. The dress was made of ivory satin with a top covered in lace detail. It's the lace that remains the lingering memory of this dress, delicately covering the bride's shoulders and arms and then melting away across the bodice into intricate patterning picked out on the skirt. The dress had a narrow waist with slight padding around the hips to allow the skirt to fan out into its fullness. It was supported by petticoats and had some semi pleating in it to allow it to spread out as it reached the floor. And that pretty lace carried on its work across the satin skirt giving texture and lift to the whole design. All royal brides need a train - let's face it, you can't walk down the aisle of an abbey in a dress with no train. Kate's measured just under three metres and while it wasn't on the epic scale of some royal wedding trains, it gave the element of grandeur that all regal bridal gowns need. Kate kept her veil short, it fell to just below her waist. 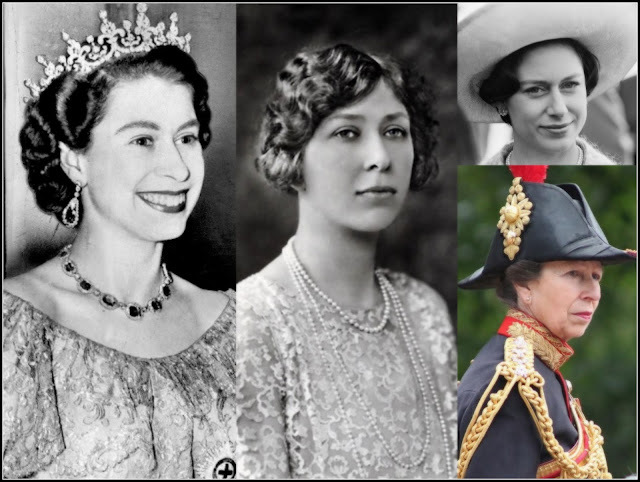 It was held in place by the Cartier Halo tiara, loaned by the Queen for the big day. 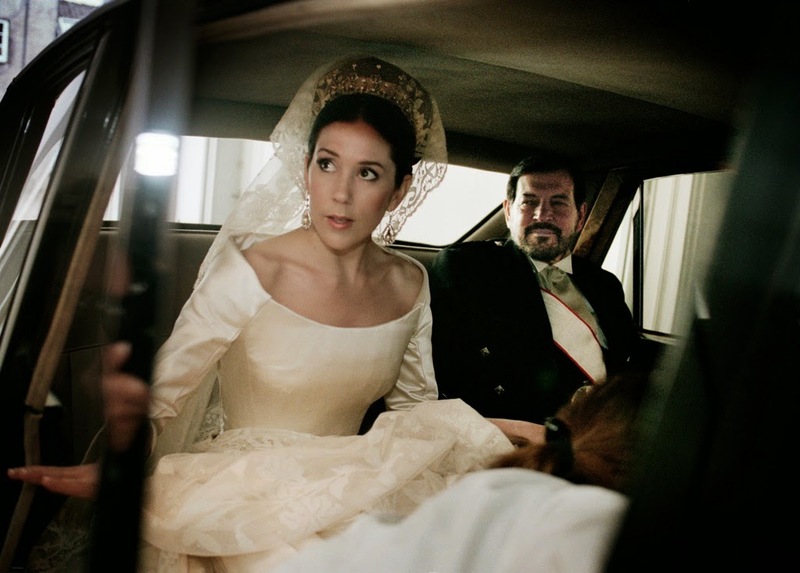 But unlike other recent royal brides, she chose to wear a veil across her face for her walk up the aisle and stuck with tradition to remove it once she was at the altar and getting ready to say 'I do'. The dress was an instant hit. Some commentators saw links with the famous gown another royal April bride, Grace Kelly, had worn in 1956 - the lace detailing is similar in some respects. Kate's dress became a classic and inspired many other wedding gowns in the years afterwards as well as the now traditional race to produce replicas at superfast speed while the rest of us sit in front of the telly marvelling at the wedding. The original went on display at Buckingham Palace that summer, with the Queen and the Duchess of Cambridge coming along to admire it as the exhibition got under way. There is no doubt that Kate's wedding gown is an all time classic, still talked about as a regal winner all these years on. Its wearer has gone on to be a royal fashion icon and her royal style career began with a gown that now belongs to the history books. Photo credit: Defence Images via Flickr.